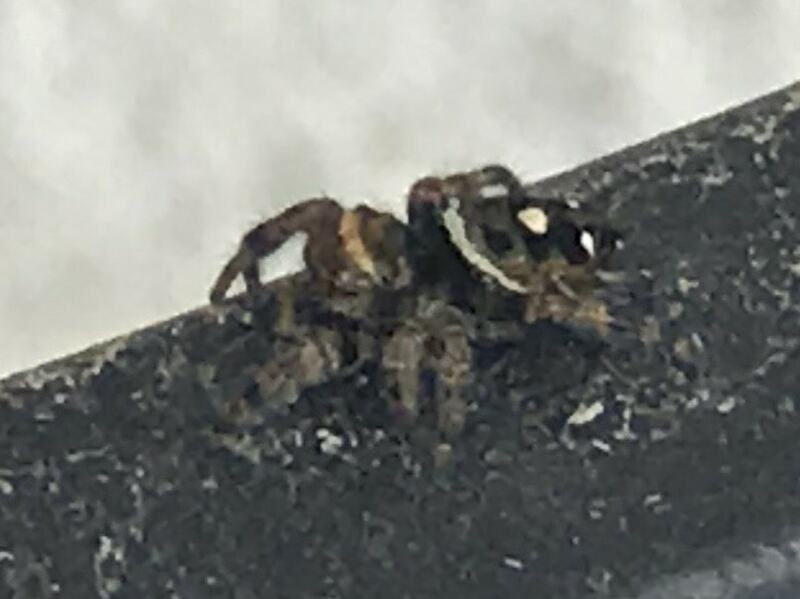 I know it is some sort of jumping spider. Maybe a double flagged one. Anyway it just bit me on the arm and it hurts quite a bit. Benadryl and ice. Fingers crossed!